These are the official Moomin licensed characters, Moomin. Rainbow Productions holds the UK’s official licence to manage the personal appearances of Moomin at public events on behalf of the brand owner. The Moomins are a carefree family of white, oddly characters with large snouts. The Moomin family reside in Moominvalley, a beautiful land of green valleys and glistening rivers. The family love to go on adventures with their collection of friends who live in Moominvalley. The first Moomin book was published in 1945, written and illustrated by Tove Jansson. Tove Jansson wrote and illustrated 9 Moomin novels. A new animated TV series is in development and scheduled to air in 2018. This will mark the fourth TV adaptation; the most recent TV show was produced in 1990 and called ‘Moomin’. The books were originally published in Swedish and have now been translated into numerous languages. The Moomin stories have been adapted for television, film, opera and radio. The original Moomin comic strip was created for the UK newspaper The Evening News. 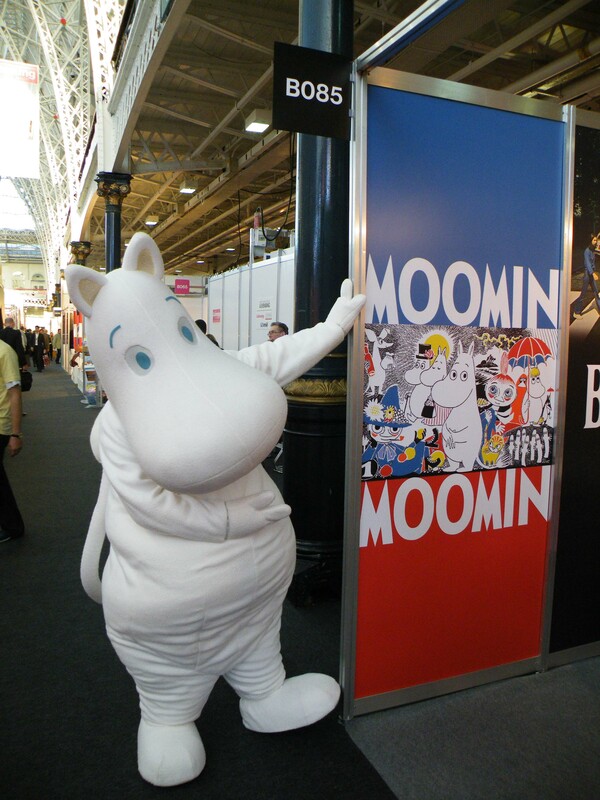 Mascot costume Moomin is available to attend UK events.